Beautiful coach house situated on the estate "The Long Hut". The barn was built in 1915 as part of the estate "The Long Hut". In 1968, however, the Langoed completely destroyed by fire. The municipality of Arnhem bought the ruined mansion with the corresponding adjacent lands. The barn was spared and became a municipal monument. The new owners have the coach house in the original state. You can taste the old way of life with the convenience of modern times. 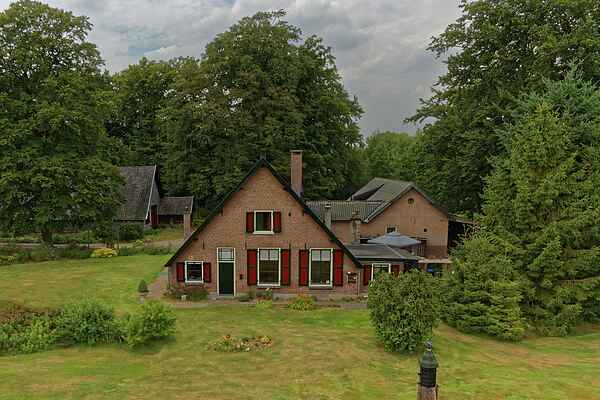 The coach house is situated in a beautiful area near Park De Hoge Veluwe. There are numerous hiking and biking trails very attractive location. Nice to visit in the area include Burgers Zoo in Arnhem, Apeldoorn Apenheul or one of the wonderful museums and castles in the region.